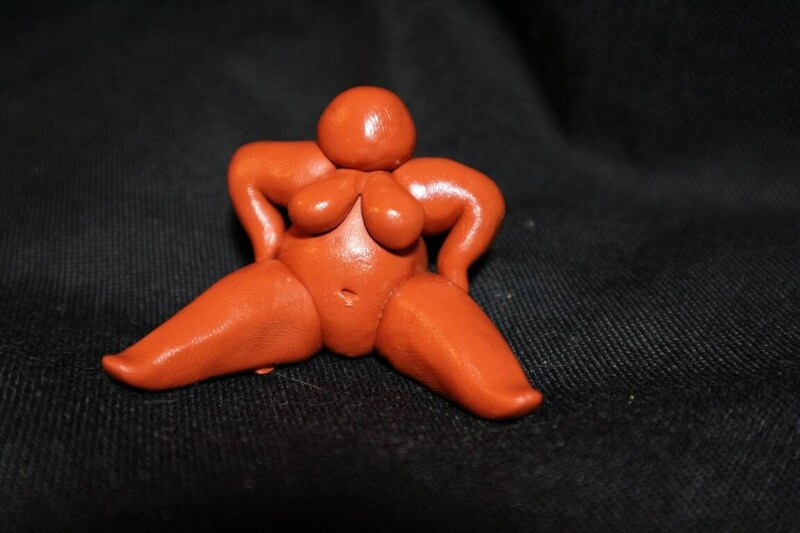 This tiny terracotta babe (about 3-4 cm high) is made from polymer clay. I absolutely love this chubby little lady. She’s perfect. The artwork from this beautiful woman is amazing & I hope to add to my collection. It’s so unique & I just want beautiful fat ladies all over my house!